Here I come back with my personal selection of the brand that most impressed me, in Fashion Week of the coolest cities in the world: New York , Londra, Milan and Paris closing. You are then ready for men's trends 2019? These my preferences. 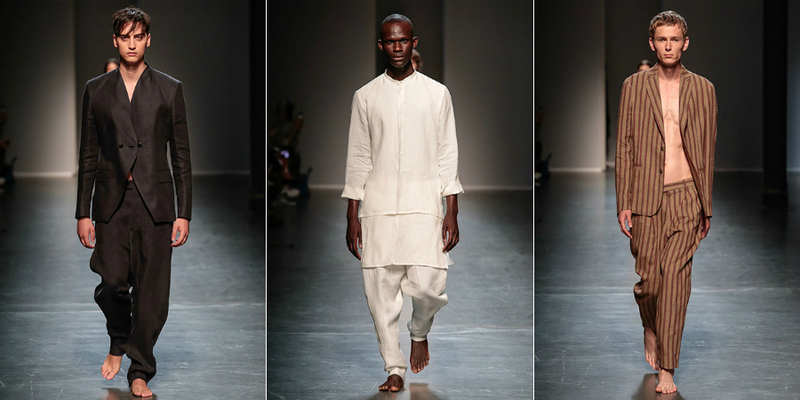 To reiterate my interest in the huge new Sartorial Monk talent that consistent with his philosophy offers us clothes that do not have time but they have a soul button and tell us essentiality, sensibility, simplicity and usability. the shape, i colori, fabrics that flutter ... all a gift emotion. The dress is an expression of the same person without disguise. 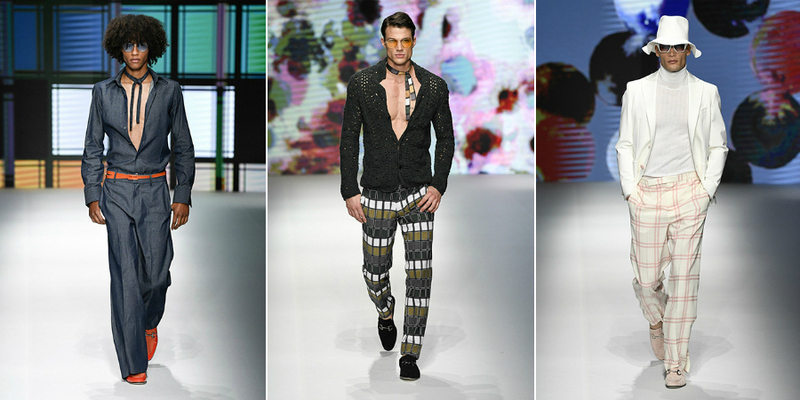 On the same wave of emotion, Etro for next summer 2109 He tells of a man as we are reminded in the Indonesian traditions, that imaginary magical warriors, elegant and proud in their set. This collection, with a flavor, which at times resembles a tour of mixed worlds, It makes particular tissue research, with the attention and respect of the environment, the bamboo, hemp, according Etro is the fiber of the future. 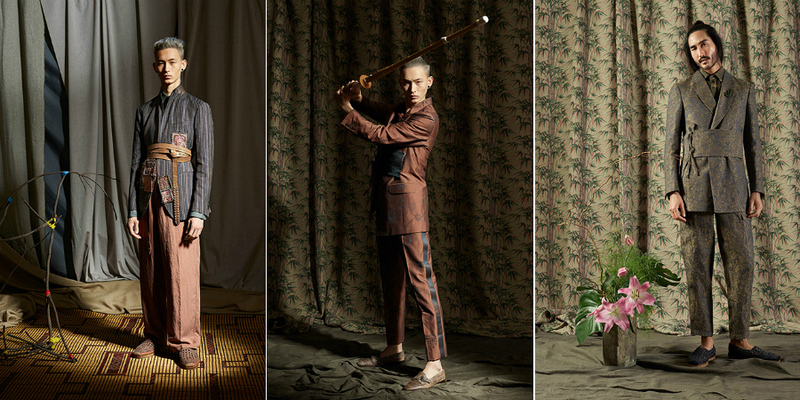 Beware the presentation of the entire collection: Etro Parade . Daks for me it was a pleasant surprise. This year the brand fulfills 125 years of activity in fashion, and celebrated with a clear and pleasant change. The mood is 70s, revived with the right verve of those years. The British style and the choice of colors, make it all the sophisticated, never exaggerated, current and portable. If you want to peek at the whole collection: Sfilata Daks . 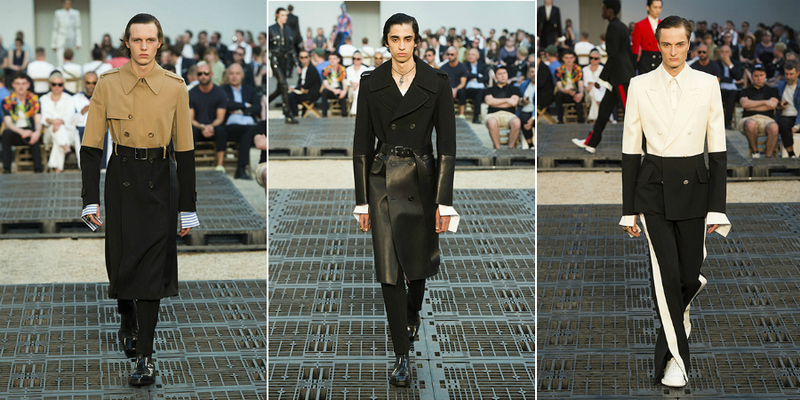 Turning point for Dior Homme, the parade in my opinion the most beautiful man of the season. Location, lights, music and most sensational clothes, This is the new vision of the Maison now directed by Kim Jones, demonstrating little time as distorting the concept of pairing the female streetwear couture mentality.A selection for you, of the coolest pieces of the collection. The show becomes an immersive experience, clothes traveling in a world which together with the sensations, They make you relive the mood of a holiday. 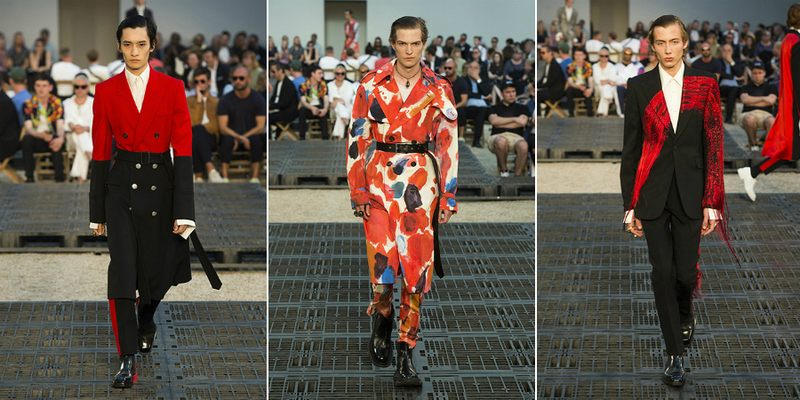 To view the parade: Dior Man . 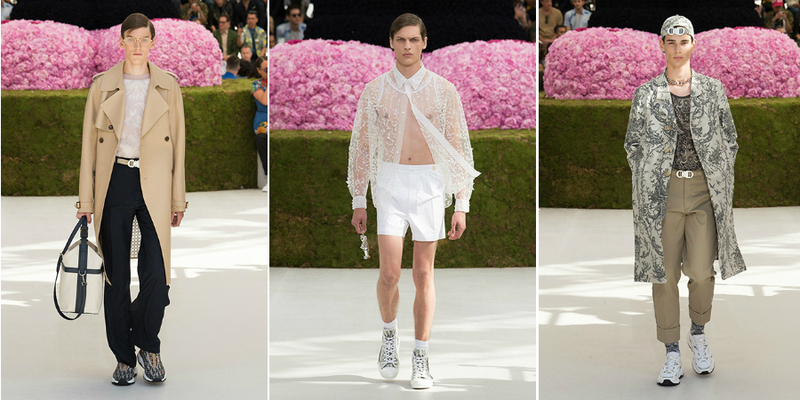 A collection that is inspired by Francis Bakon (Artista) e John Deakin (Fotografo), It is to Alexander McQueen, who tells us that kind of Englishman. 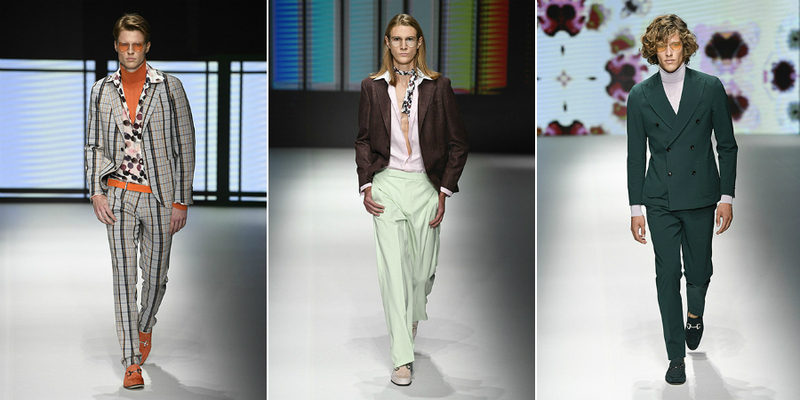 Tailoring of the cuts, and sometimes fantasies and colorful prints, This is the conflict that takes the rigidity that might have a men's collection, and it makes it interesting. Expression of duality and masculine inner conflict, this is the vision. The scarlet with military tailoring is a contrast to the male traditionalism that tells us about the brand. 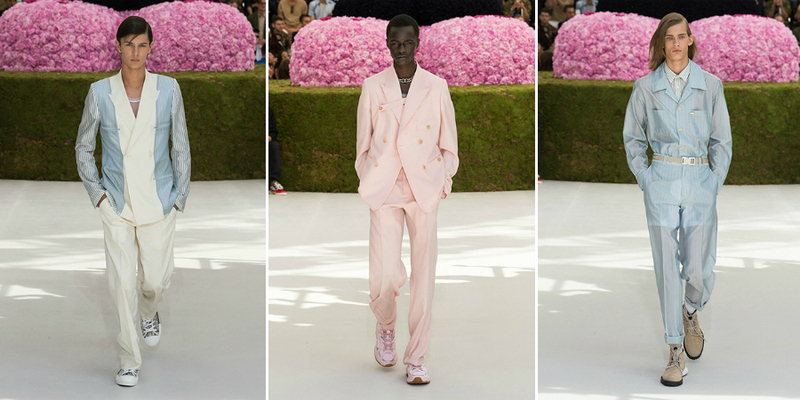 Beware the whole collection: Alexander McQueen SS19 . 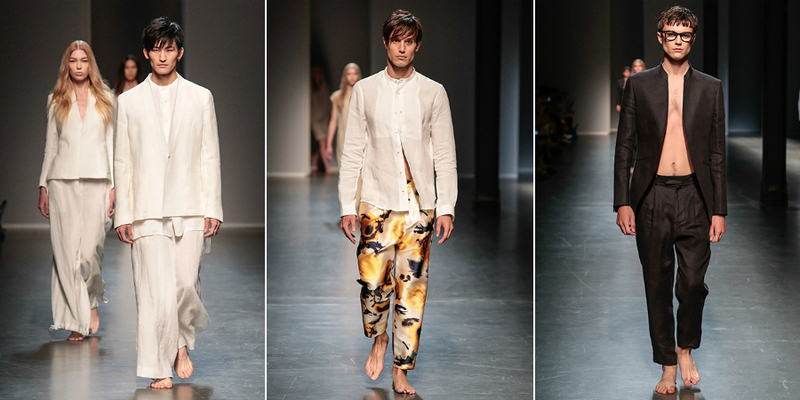 And last, but not in order, I mark the Ann Demeulemeester collection. Finally someone who makes us dream ... 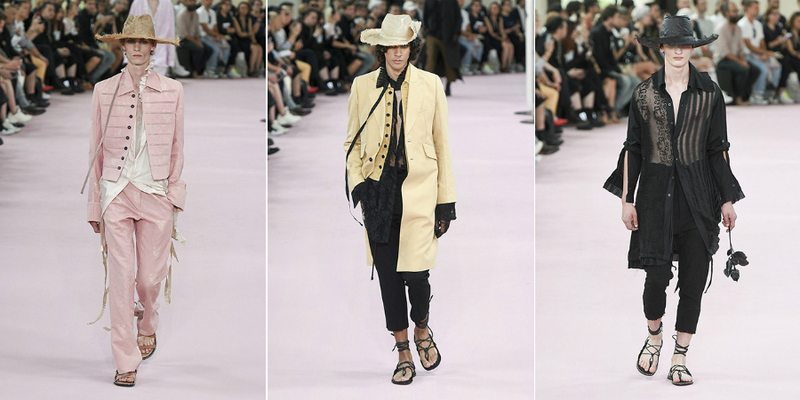 The show begins, an androgynous figure with almost put mourning is on the catwalk, e da li, Apart from the decadent chimera of dresses that recall the second half of the 19th century, but as few modern. This is the vision of another man, the romantic. Everything looks new, footwear, pants cut to live ... yet, even the lace gloves and other accessories women transferred to humans prove to be very seductive. 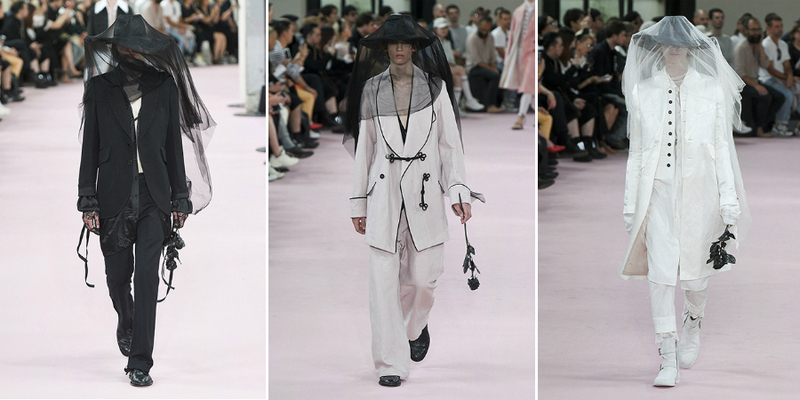 To see the entire parade: SS19 Collection Ann Demeulemeester . ... And for those who want to get out of the pile, just know what to choose!